The Yuba is just about clear now and the fishing is beginning to get more technical. I was ready to combat the crowds and drift boats but I wasn't prepared to fight so many. My plan was to fish the Yuba in the morning and hit the ponds in the afternoon. 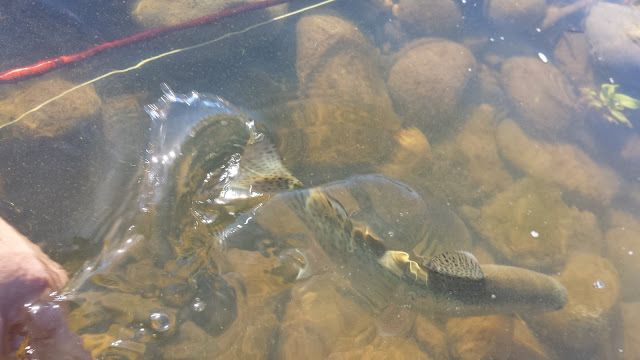 Luckily I was able to hook two trout and land one before setting off to the ponds. After I landed my one fish, I drove to the ponds. I wanted to test out a few patterns that I had tied for bucketmouth bass. My experience targeting bass using conventional tackle has influenced me to believe that bass are lazy feeders and seem to only eat when they are hungry. 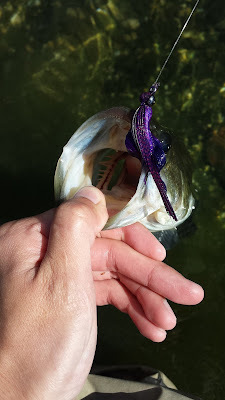 In order to get a bass to bite, I needed to come up with something that was foreign to them to get a reaction or curiosity strike. The pattern that I came up with was a hybrid of a robo-worm and spinnerbait. Purple is the color I have the most confidence with and that is what I threw most of the day. The pattern worked well and I ended the day with three solid takes. One while stripping and two while dropshotting. 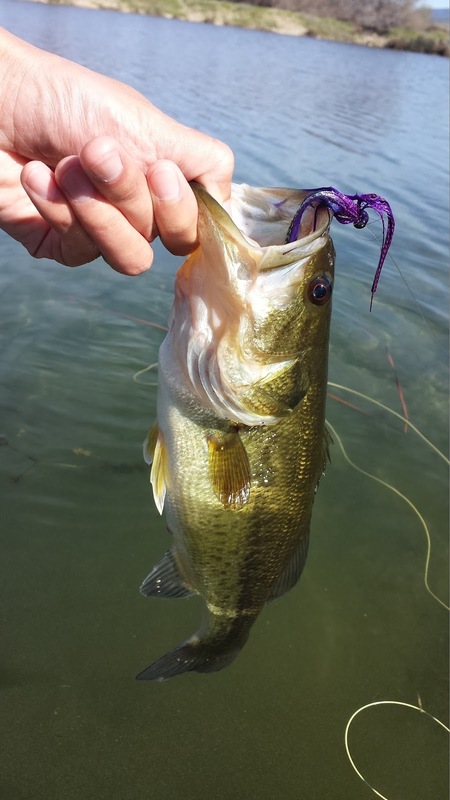 Dropshotting... what a weird way to catch a bass on a fly rod. The other pattern I tested was a bluegill pattern. 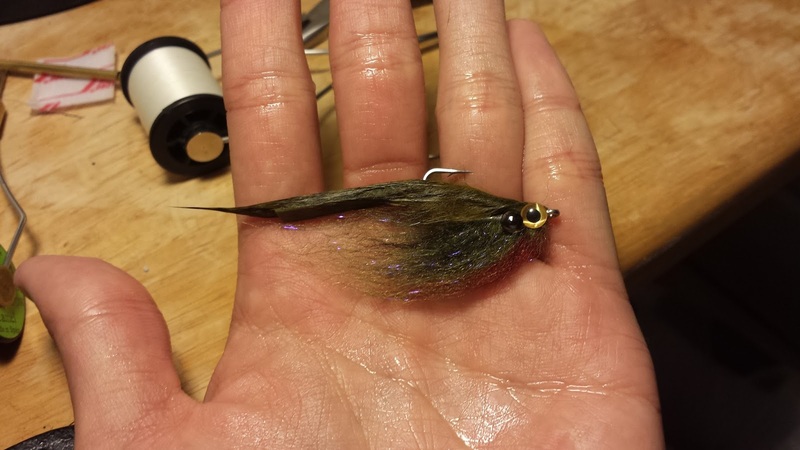 This pattern looks fantastic and swims great but it's more of a match the hatch kind of fly. I was able to get one fish to inhale it but I may need to wait until the spring for this pattern to be really successful.